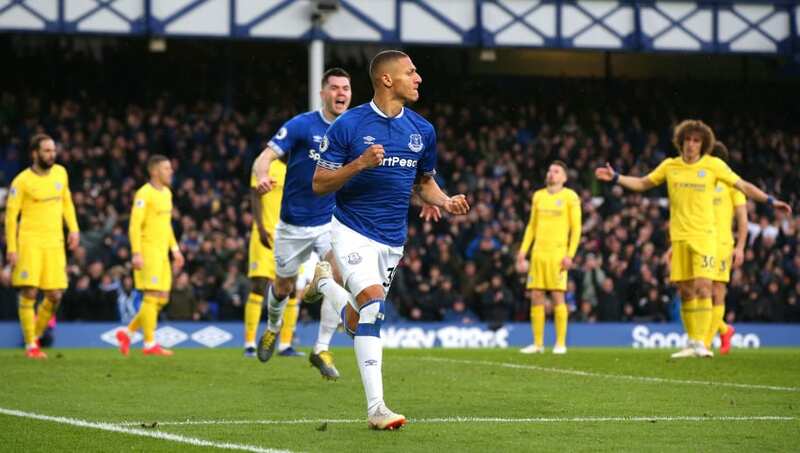 ​Everton forward Richarlison has taken to social media to seemingly put an end to speculation around his future at the club, as he reaffirms his happiness at the Toffees. A report in Brazil had bizarrely linked the 21-year-old with a move to rivals Liverpool, and having impressed under Marco Silva since his £35m switch from Watford in the summer, speculation had also emerged suggesting ​Barcelona, Milan and Chelsea could move for him in the months to come. Shortly after the ​Liverpool reports surfaced, the forward posted two pictures of himself celebrating in an Everton shirt, captioned simply 'I'm happy' - suggesting he isn't interested in a move for the time being. The speculation surrounding the alleged Liverpool interest comes from ​UOL Esporte, who have arrived at the conclusion on the basis that Renato Venasco, one of the player's representatives, was seen visiting the home of Reds boss Jurgen Klopp.